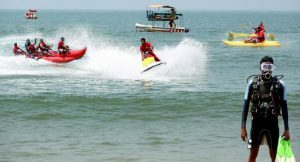 Ladakh: An Impeccable Spot for Adventure Sports Activities! 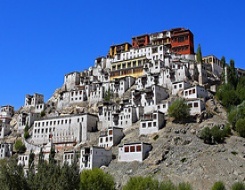 Ladakh- Merely a mention of this place conjures up a hypothetical canvass in front of the eyes on which there is painted a paradise-like landscape. The mind begins to run through a series of pictures where we see mountains carpeted with snow, glinting lakes ready to lure the senses, and so on… In short, the scene that matches exactly with that of any traveler’s dreamland. This thing commonly happens with most of the people. 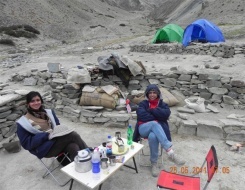 However, interestingly, the varied topography of Ladakh is also an epicenter for various adventure activities that evokes an adrenaline rush in the travelers. 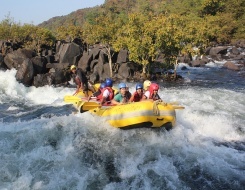 A traveler with a zeal for thrill can also carry out many exhilarating activities here. What are the major trekking routes in Ladakh? 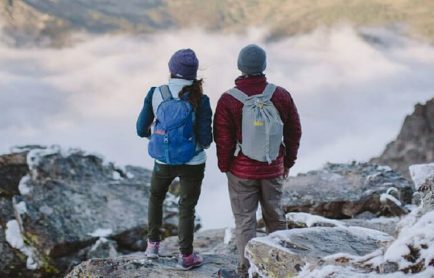 Best time for trekking in Ladakh? The best time depends on the nature of the trek. 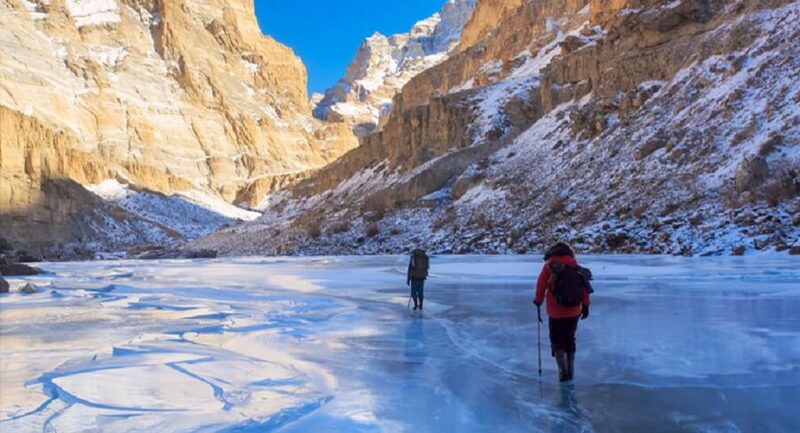 For instance, winter is the best time for extremely challenging treks like Frozen River Trek and Snow Leopard Trek. 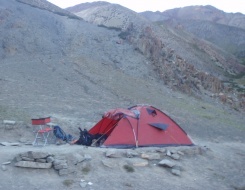 However, for an intermediate trekker, the best time for trekking in Ladakh is from June to mid October. 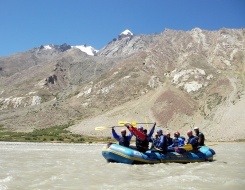 Indus River, originating from Kailash Mountain, offers immense scope for exciting river rafting adventures in Ladakh. Rafting routes here offer incredible views of landscapes including snow capped mountains of Zanskar Ladakh Ranges, Monasteries, etc. 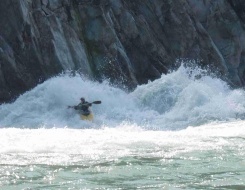 The grades of rafting in Indus vary from Grade I to Grade V making it ideal for novices and experts alike. 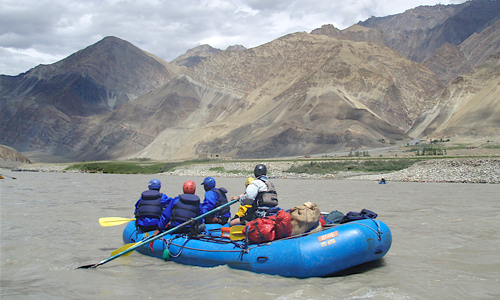 What are the major river rafting routes in Ladakh? Best time for rafting in Ladakh? 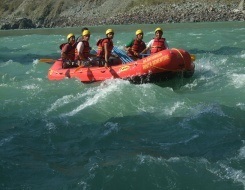 Mid June to Mid September is considered as the best time to enjoy river rafting in Ladakh. 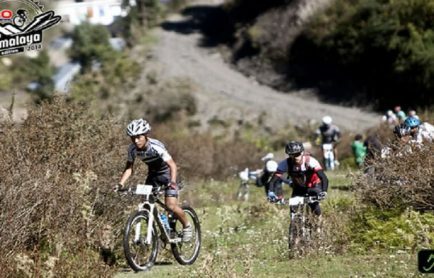 The rock-strewn settings of Ladakh proffer a range of trails where a biker can enjoy the bewitching elegance of nature. An adventure enthusiast can enjoy the company of the hospitable local habitants on the way. The tough trails, with the imposing snow covered mountains and striking panoramas, fascinate the traveler. The motorbiking trails in Ladakh take the biker to great elevations and test his endurance at those vital moments. 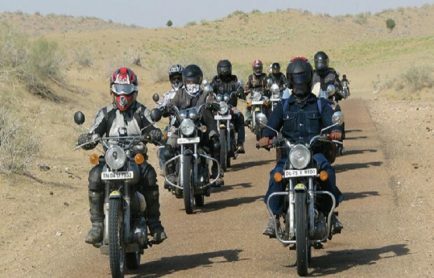 Significantly, the highest motor-able roads of the world, Khardung La and Marsimik La can also be measured while biking in Ladakh, if the biker is extremely expert. What are the major motorbiking routes in Ladakh? Best time for motorbiking in Ladakh? Mid June to Mid October is the best time to enjoy motor biking in Ladakh. In the rest of the months, the roads remain packed with snow and no biking can be carried out on such roads. 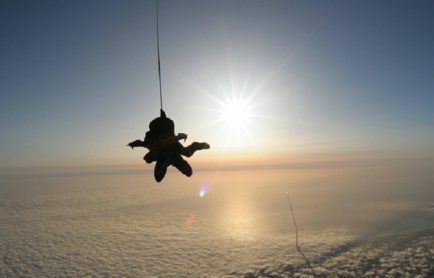 Mountaineering is undoubtedly one of the most adventurous sports activities around the globe. Ladakh is a preferred haven for the adrenaline junkies who love to climb the snow-capped giants. 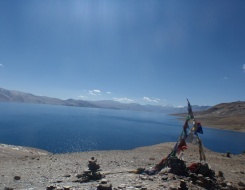 The Great Himalayas in Ladakh offers various peaks that are perfect for both amateur and expert mountaineers. 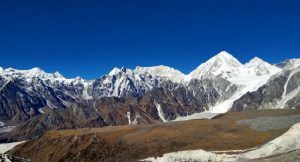 Tourists with crampons, ropes and ice axe can undertake one of the most hair-rousing adventure activities and that too in the lap of nature. 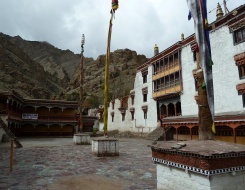 The welcoming tribes and beautiful monasteries on the route add a feather in the hat. What are the major peaks to climb in Ladakh? 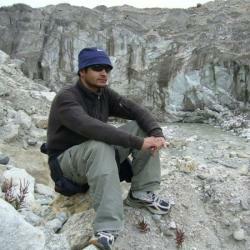 Best time for peak climbing in Ladakh? 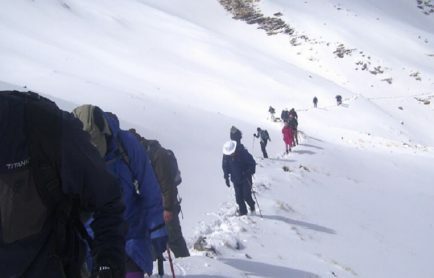 June to September is the best time to climb peaks in Ladakh. 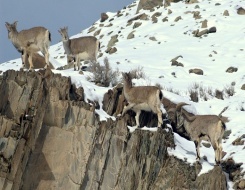 Camel safari is a unique way to explore the pristine beauty of Ladakh. Witnessing the rugged terrains and intriguing villages of Ladakh on a camel is an experience second to none. 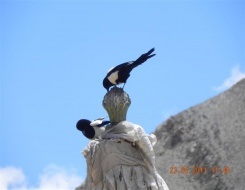 Nubra Valley offers assorted opportunities for all those adventure aficionados who want to ride this splendid animal. Interestingly, Nubra Valley is the only place where shaggy Bactrian camels are found. These unique camels have two humps. In today’s scenario camel is one of the most-liked mode of transportation in Nubra Valley. Where can an adventurer carry out camel safari in Ladakh? 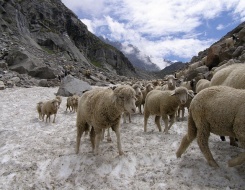 Nubra Valley is the spot where a tourist can plan to enjoy camel safari in Ladakh. Best time for camel safari in Ladakh? The period from June to September is the best time for camel safari in Ladakh. Explorers with the fervor to do something different from the typical explorations can carry out yak safari in Ladakh. 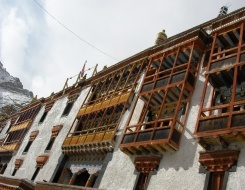 Yak (known as dongs in Ladakhi language) is a superb mode for coming close to the native culture of this region. Yak safari in Ladakh takes the traveler to glinting lakes, freezing valleys, rapid streams and meadows. 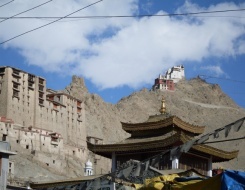 What are the major destinations covered in Ladakh yak safari expedition? 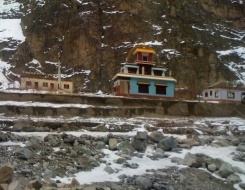 The major destinations that a traveler can explore on Yak in Ladakh are Leh Ladakh, Alchi, Likir, Lamayuru, Shey, Thiksey, Hemis, Ligtse and Delsa Yak Valley. 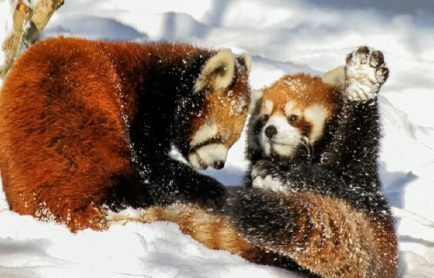 Best time for yak safari in Ladakh? 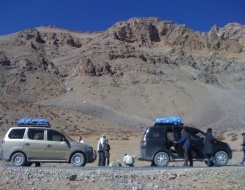 Jeep safari is one of the easiest, most comfortable and safest modes of exploring Ladakh. It is a rugged experience while riding a jeep here and offers a unique thrill. 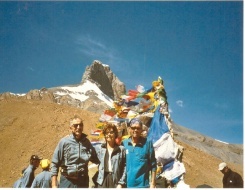 Moreover, it is the best way to visit the remote areas. 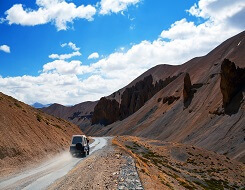 For the travelers doing a Manali Leh Jeep Safari is a delightful path to reach Ladakh. 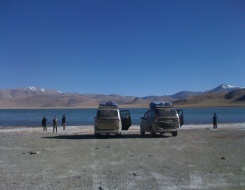 In addition, travelers can also explore pristine areas of Ladakh on the same vehicle. During safari in remote areas, one should keep the fuel aspect in mind because it is not that easily available in far-flung areas. It is wise to keep extra fuel on the trip. What are the major routes for jeep safari in Ladakh? Best time for jeep safari in Ladakh? 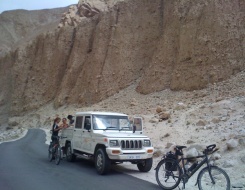 Considering the conditions of roads, July to September is the best time for jeep safari in Ladakh. 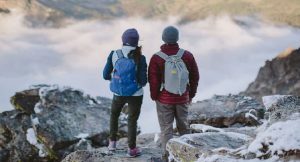 Whatever adventure you choose for your next adventure trip to Ladakh, one thing is certain – You will return with memories that you can never forget. What is more… you will feel the Goosebumps even after returning home!